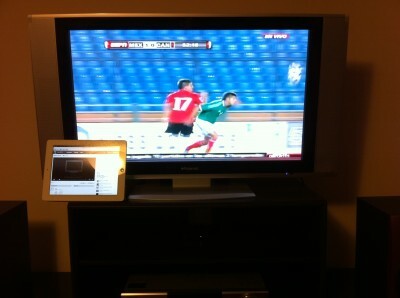 If this means what I think it does… I can watch chicharito tomorrow on my AppleTV! Is there any way to tell which videos veetle has that are html5? I was looking for this info, it’s nice to know another way to watch soccer games around the world, I like betting so i will be able to watch the games. I tried to airplay a video yesterday, but I only got the audio on the TV. How do you know if a video is available to airplay with video and sound? Alex, in my experience this is somewhat flaky as of the current iOS version (4.3). Sometimes the iPad will only transmit sound but if I switch over to the iPhone it will work. Sometimes I AirPlay using the YouTube app and then switch to Safari and it works. YMMV. I hope this is all sorted out in iOS 5.0.